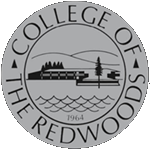 What is College of the Redwoods CalWORKs? California Work Opportunity & Responsibility to Kids (CalWORKs) is a state-funded Welfare-to-Work program designed to assist student parents, of children under the age of 18, who are receiving cash assistance (TANF), become self-sufficient. Students receive specialized academic advising, assistance with transportation, support with school supplies, and referrals to supportive services, all while attending college. Some students may be eligible for the CalWORKs Work Study program. The CalWORKs Work Study program will provide paid on-the-job training opportunities for students that is geared to their vocational goal. The CalWORKs program is designed to prepare individuals for work in order to gain financial independence and self-sufficiency. Who is eligible for CR CalWORKS? Student parents with a child/children under the age of 18, who currently receive cash assistance (TANF) through the Department of Health and Human Services. Student parents who are Self-Initiated CalWORKs Program participants. Student parents who are Exempt CalWORKs students. All student parents must be in good Standing with the county. What can CR CalWORKs do for students? CR CalWORKs can assist students with achieving a successful college experience and job placement. The CR CalWORKs team works with the Department of Social Services staff to help students with their individual education and employment plans. If you have any questions or want to make an appointment, please contact the CR CalWORKs department at 707-476-4581.